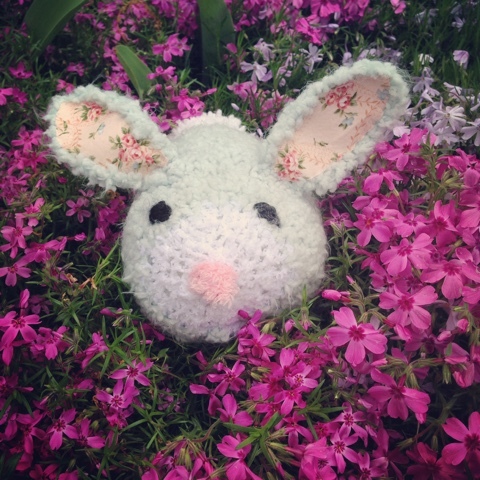 Easter and Christmas have become holidays of handmade gifts. I want to keep the tradition of handmade gifts going that was started by my great grandmother. It was something so wonderful to have as a child that I have dearly wanted to pass on this tradition for my own children. The hard part is having the uninterrupted time to get these gifts completed. Time that includes keeping the projects a surprise! It has been harder than I anticipated. This year I finished knitted toys made from the book Knitted Toy Tales by Laura Long. This bunny was made for Olivia. I cast on for this toy a year ago. I had planned on having it ready last Easter. I ended up short on time and set it aside to finish later. I have no idea why I never completed it. All I had to do is sew on the fabric inside the ears, attach the ears, and embroidering the eyes and nose. I am so weird sometimes. 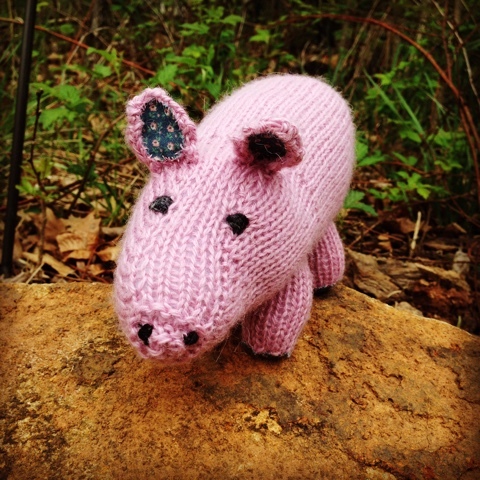 The pattern for this little pig is called "Piggies at play". I began this pig a couple years ago. I cast on with intent for it to be a first birthday present for Adelynn. That was back when Adelynn loved pigs. I even had a dermatologist ask if I could sell him one for his son. He wanted something handmade and the little boy was born in the year of the pig so it was a perfect gift idea. I declined the offer for making another one. I am not very confident in my toy making skills and certainly not confident enough to be paid for my work. 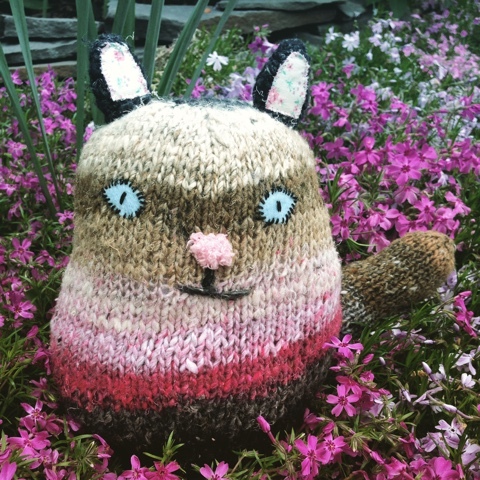 This "Cheshire" like cat for Leah was made with the pattern called "The Pussycat" by Laura Long. This funky cat was a product of evolving colors. I thought the Noro yarn would be an interesting effect for this toy. I anticipted it to be less bold. The yarn was far too fantastic to use in any other way. Sturdy and rugged the yarn made for a great folk art inspired cat. The problem with deviating from a pattern is what to do with the result of a striping yarn such as Noro. When I finished this cat I had to ponder about how to make its face come alive. I had a difficult time determining how to make its eyes just right. A simple embroidered eye was too subdued. That's when I had an inspiration idea. I decided to make this cat bolder and the only bold cat I could think of was Alice in Wonderland's Cheshire Cat. Big bold eyes. A piece of blue felt with bold black embroidery floss trim. Now that was the way this toy was meant to be. This yarn lends a folk style to the toy. A bit rugged. I would like to knit this one again in a different yarn. I think something in a more squishy sturdy wool.